Part-time Team Penske driver Will Power dominated Sunday’s Rexall Edmonton Indy, leading 90 of the 95 laps for his first IndyCar Series victory in just five starts this season, and leading teammate Helio Castroneves to the checkers for a 1-2 Team Penske finish. Starting from the pole, Power surrendered the lead only to make his two scheduled stops, and frequently led by as many as six seconds until a full-course caution on the penultimate lap closed the gap to just over one second. The caution, the result of a spin by Tomas Scheckter into the Turn 9 barriers, spoiled what would have been the first caution-free race in IndyCar Series history. Still, the single lap of yellow at the end of the race established a new series record for fewest caution-flag laps. The 23 drivers in this weekend’s field ran a total of 8,270 miles in practice, qualifying and racing on the runways and taxiways that make up the temporary Edmonton City Centre airport circuit; once again without a single engine-related failure for the Honda HI9R Indy V-8. Much of the fireworks in today’s race came from the battle for second place between Castroneves and Target Chip Ganassi Racing’s Scott Dixon, with Ryan Briscoe’s Team Penske Honda also freqently in the mix. All three easily out-distanced eventual fifth-place finisher Dario Franchitti. In the end, a mistake by Briscoe, causing him to brush the wall exiting Turn 9, dropped him back to a fourth-place finish; while Castroneves passed Dixon for the final time on Lap 84, using a “pick” around the lapped car of Ed Carpenter to make his successful move. Paul Tracy gave his home country fans some excitement early in the race, jumping up from his ninth starting position to sixth on the opening lap, but was unable to advance any further in his KV Racing Honda. In a scary moment, a faulty fuel probe stuck in the open position during Tony Kanaan’s first scheduled pit stop, leading to a fire on board his car and in the Andretti Green Racing pits. With help from crewmembers from the Penske, Ganassi and Panther Racing teams, the fire was quickly extinguished and Kanaan escaped with second degree burns on his hands and minor flash burns to his face and neck. After three road- and street-course events, the IndyCar Series now heads back to an oval with a Saturday night race August 1 at the 1.5-mile Kentucky Speedway. Will Power led a 1-2-3 sweep for Team Penske in IndyCar Series qualifying Saturday at the Edmonton City Centre Airport temporary circuit for Sunday’s Rexall Edmonton Indy. Power, who is driving a third Penske entry in a limited schedule, headed teammates Ryan Briscoe and Helio Castroneves. It is Power’s second Edmonton pole -- he also was fastest qualifier for the Champ Car race here in 2007 -- and his second IndyCar pole, the first coming at Long Beach in April. Defending race winner Scott Dixon will start fourth for Target Chip Ganassi Racing, while Graham Rahal qualified fifth in his Newman Haas Lanigan Racing Honda Dallara. Making his first appearance at Edmonton, current IndyCar Series points leader Dario Franchitti rounded out the Firestone “Fast Six” qualifiers today. Sunday’s race starts at 6 p.m. EDT, with live television coverage on Versus. For the 2009 season, THR has been granted the unique opportunity to mount an SCCA National Championship Runoffs campaign supporting the launch of Honda Racing/HPD, Honda’s new broad-based initiative aimed at expanding its presence in grassroots racing by offering products and services for its amateur and entry-level professional auto racing customers. The first race for the majority of the THR drivers was the double national at Nelson Ledges. Given our limited schedule, finishing each race is critical in order to qualify for the SCCA National Championship Runoffs, which added somewhat to the pressure of the weekend While it had been six months since we had been in a race car, we were able to quickly shake off the cobwebs and qualify at the top of both classes. The first race of the weekend went well, with Chad and Inness winning their classes, while Chase and Matt finished second right behind them. With Chad and Chase starting at the front of their classes in Race One, the only excitement for THR was a spin by Chase in Turn 1, which resulted in light contact with the tire wall. Fortunately, the damage was just cosmetic, so Chase was able to re-enter the race and finish second, with help from a late-race crash by his competition. It was nice to get the first race under our belts, and Chase was able to quickly regroup, having learned a lesson. THR drivers again qualified at the front of the grids in their respective classes for the second race, and after a strong start, we able to hold off the competition and occupy the top of the podium. The durability of the BFG rubber enabled us to run on the same set of tires from the first race on. Unfortunately, controversy over ballast placement emerged in technical inspection for Chad’s first-place SSB car, and he received a “last in class” (fifth place) penalty. The Chief Steward ruled that ballast mounted in the trunk should have been mounted in the passenger footwell instead. The penalty was protested, but ultimately upheld. An appeal to reverse the ruling has been submitted, but resolution is still pending. In the end, it was still a great weekend for THR. ELKHART LAKE, Wis. (July 24, 2009) – Honda Performance Development, Inc. (HPD), the authorized Honda and Acura auto racing company in North America, today announced a new automotive initiative targeted at expanding its presence in the grassroots motorsports market. The broad-based initiative will include the development of products and services that support competition in the amateur and entry-level professional ranks, and will also include integrated marketing activities designed to raise the profile of Honda Racing and HPD. The new program will ultimately include an array of products and services for Honda and Acura customers who compete in amateur and professional racing. These products include both original equipment parts and racing-performance parts. To launch its new grassroots initiative, HPD will operate the Honda Racing Line, a club targeted at licensed participants in amateur and entry-level professional racing. The Honda Racing Line will provide its members with a direct connection to Honda Performance Development and its unparalleled record of success at the pinnacle levels of motorsport. This channel to factory support, which will offer Honda Racing Line members the opportunity to purchase racing-performance parts for expedited delivery, has not existed previously. Competitors may register for the Honda Racing Line club and gain access to the parts catalogue through a website portal, HondaRacingLine.com. Additional Racing Line membership benefits will be announced as they are developed. HPD’s new grassroots motorsports initiative also supports the fans of grassroots racing through an integrated marketing plan, focusing on fan identification with the Honda Racing brand through merchandise sales and additional services. Specific details regarding other components of the new grassroots motorsports initiative will be announced throughout the year. Honda Performance Development, Inc. (HPD) is the factory-authorized Honda and Acura racing company within North America. Founded in 1993, and located in Santa Clarita, Calif., HPD is the technical operations center for Honda and Acura’s highperformance racing cars and engines. In addition to its grassroots motorsports participation, HPD is the single engine supplier to the IndyCar Series and competes in prototype sports-car racing under the Acura banner in the American Le Mans Series. ELKHART LAKE, Wis. (July 24, 2009) – As one of the initial offerings in its new grassroots motorsports initiative, Honda Performance Development, Inc. (HPD), the authorized Honda and Acura auto racing company in North America, is proposing entry into an SCCA Club Racing program with an eye toward lowering operating costs, while strengthening FF’s position as the first step in American open-wheel racing. HPD’s concept, submitted to the Sports Car Club of America for membership input and approval, incorporates a 1.5-liter, Honda Fit L15A7 engine into an existing FF chassis. During initial testing, the Honda engine provided performance equal to the long out-of-production “Kent” engine, but featuring a modern fuel-injected design with superior service life, improved availability and lower operating costs. A prototype, utilizing a Swift DB-1 chassis and HPD-developed bolt-on conversion kit, will make its public debut this weekend with demonstration laps during Road America’s FF 40th Anniversary Celebration. The Swift-Honda will be on display in Road America’s North Paddock throughout the weekend, and officials from HPD and its parent, American Honda Motor Company, Inc., will be on hand to meet with SCCA members and answer questions. HPD and American Honda are actively soliciting the reactions and thoughts of both current and potential FF competitors. The Honda FF engine has been developed by Honda Performance Development in cooperation with Sandy Shamlian of Quicksilver RacEngines. The engine is being developed to equal the performance of the Kent powerplant through utilization of an HPD-developed intake restrictor plate and appropriately mapped Engine Control Unit (ECU). If testing reveals the need for additional performance adjustments, changes can be made to the restrictor plate and/or the ECU maps to achieve this goal. “Many of us, myself included, have been involved in FF racing,” said Marc Sours, HPD Production Division Manager and Large Project Leader for HPD’s grassroots projects. “We’ve all seen FF engine costs rise and replacement parts become increasingly difficult to locate. Original equipment in the 2009 Honda Fit, the L15A7 is a fuel-injected, 1.5-liter, overhead cam engine. It is at the beginning of its current production generation, with a minimum of 10 years’ parts support required by law at the conclusion of production. HPD will supply all necessary parts from intake through exhaust, including the chassis conversion kit. The result will be a modern and reliable engine requiring minimal maintenance and tuning. Specifically, HPD expects FF competitors to reduce their engine operating costs. Engine rebuilds would be reduced from two per year to one every other year; top-end refreshing would be needed just once a year rather than multiple times per season; both crankshaft and valvespring life would be extended dramatically; and most ignition and all carburetor maintenance would be eliminated. The complete Honda FF kit is expected to sell for under $12,000. The package would include a base L15A7 engine, FF race kit (including intake, exhaust, dry sump, restrictor plate and ECU), and a bolt-in chassis kit, to permit installation of the engine without welding or other major modifications. Individual component parts would also be available for purchase separately. Beginning with its initial entry into Formula One in 1964, Honda has a lengthy record of involvement in open-wheel racing around the world. In addition to its well-known accomplishments in IndyCar, CART and Formula One competition, Honda Motor also has an extensive history as an engine supplier in lower open-wheel formulae, including Formula 3, Formula Master, Formula Nippon and Formula Dream. Honda Performance Development (HPD) is Honda’s racing company within North America. Founded in 1993, and located in Santa Clarita, Calif., HPD is the technical operations center for Honda and Acura’s high-performance racing cars and engines. In addition to its new grassroots motorsports business, HPD is the single engine supplier to the IndyCar Series and competes in prototype sports-car racing under the Acura banner in the American Le Mans Series. Quicksilver RacEngines (QSRE) is a private company in Frederick, MD owned and operated by Sandy Shamlian since 1973. QSRE engines have been a staple in open-wheel and sports-car racing, logging countless professional and amateur race wins and championships in the USA, England, Venezuela, Australia & Canada in classes such as Zetec F2000, Formula Continental, Sports 2000, Formula Atlantic, and FF1600. Honda Performance Development (HPD), the authorized Honda and Acura racing company in North America, is announcing a new initiative targeted at expanding its presence in the grassroots motorsports market. The broad-based initiative will include the development of products and services that support competition in the club and entry-level professional ranks, and will also include integrated marketing activities designed to raise the profile of Honda Racing and HPD. Since 1993, American Honda and its motorsports subsidiary, Honda Performance Development, have constructed an unparalleled resume at the pinnacle levels of motorsport. Included on their extensive list of accomplishments are four Championship Auto Racing Teams (CART) Manufacturers’ Championships and six drivers’ championships; five IndyCar manufacturers’ and drivers’ championships, and an ongoing streak of event victories in American Le Mans Series (ALMS) prototype sports-car competition. Building upon those many and varied successes, in 2009, HPD is undertaking to extend ‘The Power of Racing Dreams’, by means of an initiative which will expand the Honda and Acura presence in the grassroots motorsports market. In the recent past, American Honda has supported its customers’ ambitions in amateur and professional road racing through the distribution of parts and contingency prize money to drivers using Honda or Acura products in Sports Car Club of America (SCCA), Grand-Am KONI Challenge, and National Auto Sports Association (NASA) racing competition. The Honda Racing Line club has been formed to enable Honda Performance Development to provide Honda factory support for grassroots and entry-level professional Honda or Acura racers. To launch this program, a website portal (HondaRacingLine.com) has been developed to offer club registration and expedited parts availability to qualified Honda Racing Line club members. Additional member benefits will be announced as they are developed. 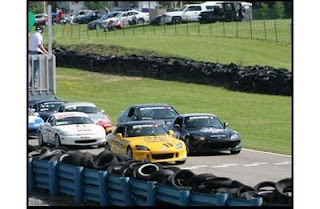 American Honda continues to support RealTime Racing in the SCCA SPEED World Challenge Series. RealTime Racing has won multiple World Challenge championships, and provides a strong platform to showcase Acura’s TSX model in a competitive professional road-racing format. A significant number of associates from Honda R&D Americas participate actively in racing. Team Honda Research (THR) and Team Honda Research-West (THR-W) are racing teams comprised of Honda associates based in Ohio and California, respectively, who compete in SCCA and NASA events. THR members have won at the SCCA National Championship Runoffs, NASA Championships, and are multi-time winners of the NASA 25 Hours of Thunderhill. THR also has teams that currently compete in rally, karting, and drifting. The Honda of America Racing Team (HART) is comprised of associates from the Honda of America manufacturing facilities. HART competes in selected events in the Grand-Am KONI Challenge series, National level autocross, and drag racing. AHM and HPD continue their participation in the Indy Racing League’s IndyCar Series. Dating to its 2003 entry into the series, the Honda Indy V-8 engine has demonstrated its reliability in rigorous, 220-mile-per-hour race events. In 2009, American Honda continues to assist the Indy Racing League in recruiting additional engine manufacturers, in an effort to provide American Honda with the appropriate quantum of competition against other O.E.M. marques. The Indy 500 remains the largest single-day sporting event in the world, and provides American Honda with a high-visibility platform for exposure of its products and engineering capabilities. The 2009 season has seen the launch of HPD’s new ARX-02a Le Mans Prototype 1 (LMP1) program in the American Le Mans Series, in partnership with de Ferran Motorsports and Patrón Highcroft Racing. Lowe’s Fernandez Racing continues in the Le Mans Prototype 2 (LMP2) category with HPD’s Acura ARX-01b car. With its strong appeal to an affluent fan demographic, the American Le Mans Series has provided an effective platform for spotlighting American Honda’s Acura luxury brand. American Honda also continues its support of the California Race and Rally Honda Ridgeline team, which earned a class victory in the SCORE off-road series at the prestigious Baja 1000 in 2008, as well as at the 2009 Baja 500. Honda Performance Development’s new grassroots motorsports initiative heralds the dawn of a new era in the venerable history of Honda and Acura racing. By reconnecting with the company’s racing ‘roots,’ as exemplified by Mr. Soichiro Honda himself, American Honda and HPD plan to broaden their influence on the motorsports landscape and make Honda Racing activities a much more visible and active part of the corporate culture. The new HPD initiative will support fans of grassroots racing through an integrated marketing plan, focusing on fan identification with the Honda Racing brand, as well as through merchandise sales and additional services. The program will ultimately include an array of new products and services for amateur and professional Honda and Acura racers. Specific details regarding additional components of this new HPD initiative will be announced through the remainder of 2009. Honda Performance Development (HPD) is Honda’s racing company within North America. Founded in 1993, and located in Santa Clarita, Calif., HPD is the technical operations center for Honda and Acura’s high-performance racing cars and engines. In addition to its new grassroots motorsports initiative, HPD is the single engine supplier to the IndyCar Series and competes in prototype sports-car racing under the Acura banner in the American Le Mans Series. Aaron Hale, a Honda Performance Development engine development engineer, took time out of his busy schedule to introduce a kindergarten class of 20 to the Honda racing spirit at Northpark Elementary School in Valencia, CA on June 3, 2009. Principal Jon Baker and teacher Nicole Bennett were excited to have a professional engineer present the children with a new and exciting project and potential career opportunity. The children faced possible rain, a rough road course and potential equipment failure. Despite it all, the students still wanted to race each other and kept trying. Aaron explained his role as a race car engineer to the students, as well as how engineers make and fix things. A student stated, "Engineers drives trains, too". Aaron stated that was true, and explained that there are many different types of engineers, and that he is a race car/engine engineer. When he showed the Acura American Le Mans Series poster, the children were wowed! It was rather cute. Aaron explained what a chassis is, and pointed out where the parents, children and dog sit in the chassis. He demonstrated how the wheels work, and how they can make the car go faster and farther. Aaron presented a fixed-up paper race car and let it go while it did wheelies. The children were so excited, and wanted to get moving on their race cars. 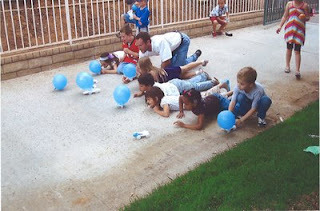 There was even a race competition after the students had completed construction of their cars. There were some exciting moments on the track during the race events, as the students faced the emotional dilemma of whether or not they would race their cars and expose them to potential damage. Five-year-old Jasmine McCormick, an up-and-coming female driver, took first place among the students. Jasmine displayed maturity for her age. She listened to the instructions well, was ready at the start of the race and followed the rules. Aaron, on the other hand, was a DNF (Did Not Finish) due to a sudden right turn and crash into the wall before the finish line. The other races were canceled due to rain. The day was a rewarding experience for Aaron and the students, as it provided Aaron with the opportunity to give something back to the Valencia community, while providing the students with a sense of accomplishment. We look forward to more involvement with the schools and community. Driving for one of the smallest teams in the IndyCar Series field, Justin Wilson and his Dale Coyne Racing team defeated the powerhouse Penske and Chip Ganassi organizations Sunday at Watkins Glen International Raceway, winning the Camping World GP at The Glen. Starting on the outside of the front row in second, Wilson stalked pole qualifier Ryan Briscoe in the opening laps, then made his move in the "Bus Stop" chicane to take the lead for the first time on Lap 4. Wilson held on to his advantage through the first round of pit stops, gettting a break when the first full-course caution flag of the day waved on Lap 20, just as Briscoe was preparing to make his initial stop. That dropped Briscoe -- and several other contenders -- back to mid-field, and moved rookie Mike Conway and Hideki Mutoh up to second and third, respectively, until the final third of the race. Wilson controlled the pace for the rest of the 60-lap event, surrendering the lead only briefly during the final round of pit stops, and setting his fastest race lap on Lap 58 as he opened up a victory margin of nearly five seconds at the checkers. The 21 drivers in this weekend's field ran a total of 7,602.7 miles in practice, qualifying and racing without a single engine-related failure for the Honda HI9R Indy V-8. The victory for Wilson marked the first open-wheel win for Dale Coyne Racing in 25 years and in CART, Champ Car and IndyCar competition. It also was the first win for a team other than Ganassi or Penske since the 2008 Detroit Grand Prix, also won by Wilson while driving for the Newman Haas Lanigan team. Behind the lead trio, a variety of tough battles throughout the field resulted in several instances of contact and spins. Mutoh, Dario Franchitti, Marco Andretti, E.J. Viso, Paul Tracy and rookie Richard Antinucci were all eliminated or delayed by incidents. The final 20 laps were highlighted by a battle between Briscoe and Dixon for second; and Andretti catching and passing Conway on the final lap to claim fifth. Still, sixth for series rookie Conway matches his best IndyCar finish and the best result of the 2009 season for Dreyer & Reinbold Racing. Today's race was the third of four consecutive race weekends on the 2009 IndyCar Series schedule. Next week, the series moves to Canada for the July 12 Honda Indy Toronto. Justin Wilson (#18 Dale Coyne Racing Honda) Started 2nd, finished 1st, 1st win of 2009, 2nd career IndyCar victory: "To get Dale's [Coyne] first win in 25 years is the most important victory of my career. I was grinning from ear-to-ear on that last lap. We've worked all year to improve on the road courses, and to dominate like this is fantastic. Bill [Pappas, team engineer] called a great race. He was on the radio to me all race long, telling me what to do. We came close at St. Petersburg [where he led the season-opening race] but I was 'too nice' on the last restart and gave away the win. That wasn't going to happen today and here we are in victory lane." Ryan Briscoe (#6 Team Penske Honda) Started 1st, finished 2nd: "It definitely was an exciting race. We were caught out by that early yellow and that left us back in the pack. I think we definitely had the speed [to win] today, but the timing of our first [pit] stop made it difficult. But it was great to be able to fight our way back up to second and hold off [Scott] Dixon at the end. Before the last yellow, I even thought we might have something for Justin [Wilson], but he was just too quick after the last restart." Roger Griffiths (Race Team Manager, Honda Performance Development) on today's race: "Congratulations to Justin Wilson and the entire Dale Coyne Racing team. It certainly pumps some life into the series to see a small but talented team pull off the victory today. Thanks to all our associates at Honda Performance Development and our technical partner Ilmor for another perfect weekend for the Honda Indy V-8. Now, it's on to the streets of Toronto for our fourth consecutive race weekend." Posting what would prove to be the pole lap in the opening minutes of final qualifying, Ryan Briscoe claimed the top starting position Saturday at Watkins Glen International Raceway in preparation for Sunday’s Camping World GP at The Glen. With the drop of the green flag for the third and final round of Firestone "Fast Six" knockout qualifying, Briscoe left pit lane on the same softer "Red" tires he had used in the previous round. His quick lap of 136.935 mph around the historic, upstate New York road course became the pole speed when, moments later, rival Dario Franchitti crashed heavily, but without injury, into the Turn 11 tire wall. Cleanup from the Franchitti wreck consumed much of the remaining time in the 15-minute session, and prevented any serious challenges to Briscoe. Still, Justin Wilson was pleased to put his Dale Coyne Racing Honda ahead of many larger, better funded teams with his second-place effort, with previous three-time Glen winner Scott Dixon, third. Sunday's 60-lap race starts at 1:30 p.m. EDT, with live television coverage on ABC. Ryan Briscoe (#6 Team Penske Honda) pole qualifier, 2nd pole of 2009; 6th career IndyCar pole: "I went out [for Fast Six final qualifying] on hot tires, so I wanted to post a [quick] lap time before they went off. So, when the red flag came out [stopping the session for Franchitti's crash], it definitely worked to my advantage. Tomorrow’s race will be interesting. The option [softer compound] 'Red' tires give much, much better grip around this track, but will they last for an entire fuel run in the race? I guess we'll find out on Sunday."